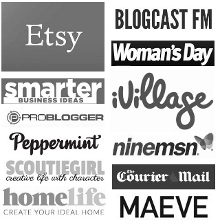 Can you make a successful living selling OOAK items online? Can you make a living selling OOAK handmade items online? This is a question I’ve been asked many times over the years, and now that I’ve been in the handmade industry for almost 10 years, I can confirm that my stance on this remains the same. In short: no, you can’t. Of course, there are exceptions, and good reasons why this is the case. In this episode, I outline the reasons why it is extremely difficult to make a living from selling OOAK items online (and I am specifically talking about online selling, not markets, wholesale etc.). If you happen to make a living selling OOAK items online, I want to hear from you! I’ve been trying to interview someone who does on the podcast from the beginning, but I am yet to find someone. If you are that someone, or know of someone who fits the bill (makes a full-time living from their handmade business, and 90% or more of their sales online exclusively from OOAK items) then I want to hear from you! A one of a kind (OOAK) piece is a unique item of which you only make the one. The hard truth, learned from my own research and experience, is that it is not really possible to make a living selling OOAK items online. OOAK can absolutely be successful in handmade business. The challenge is when you move online. Expensive items priced in the mid to high hundreds of dollars. These need to be quick to make, have a good mark up and sell daily. Makers with a large and dedicated following. Time is invested in building a presence, batch making items and managing a big release. Selling an OOAK piece online takes far more work than selling in person. Each product needs to be individually listed with photos, editing, title, keywords and tags, description notes, proofing and more and all of these little pieces of time add up. When starting out there is ample time, energy and enthusiasm to experiment and create OOAK items but as your business grows this becomes less sustainable. As your creativity ebbs and flows having a line of reproducible items provides you with breathing room. Utilise price points to support these creative endeavours. Your OOAK items should have pricing that reflects their elevated and unique status. Reproducible designs do not mean that the piece is not handmade or a labour of love. If you have OOAK items, list them on your best selling venue and deactivate the listing when at markets.